Mr. Shmishkiss was honored for raising money to fight cancer. “He was so convincing to captains of industry and philanthropists because they knew he was doing this on his own dime,” said John Seffrin, the Cancer Society’s chief executive, who accompanied Mr. Shmishkiss to ­Disney’s home. Using business skills he honed in Lynn as a young man selling insurance and real estate in his family’s business, Mr. Shmishkiss helped the American Cancer Society secure major gifts from the world’s wealthiest donors. “He was so dedicated and, unlike so many of us, it wasn’t a disease that had struck him personally,” Seffrin said. Mr. Shmishkiss, a former resident of Marblehead and Swampscott, died Jan. 22 in the Peabody Glen nursing and ­rehabilitation center. He was 93 and had been diagnosed with Alzheimer’s disease. During that meeting, a portrait of Mr. Shmishkiss was unveiled, and was to be displayed in the society’s national headquarters. At that time, only two others had been honored the same way: Lillian Disney and Erma Bombeck, the late humor columnist. Mr. Shmishkiss first volunteered for the Cancer Society in 1955, when the publisher of the Lynn Daily Item asked him to chair the annual fund-raising drive. In an interview with the Salem-based Jewish Journal in 2007, Mr. Shmishkiss said he initially wanted to decline the invitation, but did not want to risk the ire of the local paper. The first year, he knocked on doors collecting small donations. As he rose in the American Cancer Society, he traveled around the world raising money and launching smoking cessation programs overseas. His granddaughter Laura of New York City recalled joining him in Hong Kong when he was 80. They often went running together, she said, and Mr. Shmishkiss kept up his fitness regime there, while she found herself wanting to sleep in. Mr. Shmishkiss was elected to the Cancer Society’s national board in 1971. He served two terms as chairman and established the American Cancer ­Society Foundation in 1992, allow­ing the charity to solicit major donations. The society’s fund-raising rose from about $350 million annually in the early 1990s to a peak of $1 billion before the ­recession hit, Seffrin said. “I gave a lot of my life to that effort, which I will never ­regret,” Mr. Shmishkiss said of his work with the society in the interview with the Jewish Journal. As a 5-foot-7 pitchman, Mr. Shmishkiss was not physically imposing, but was always ­determined. Among the donors he won over were media magnate Sumner Redstone and Nat King Cole’s widow, Maria. Dr. David S. Rosenthal, a past president of the American Cancer Society’s national board and the Massachusetts division, first met Mr. Shmishkiss in the 1970s and marveled at his knack for persuading donors to open their pocketbooks. “I’m a hematologist and an oncologist, and he taught me how to be a fund-raiser,” said Rosenthal. Born in Lynn, Mr. Shmishkiss was the youngest of three children of Joseph and Rose (Jaffee), and graduated from Lynn Classical High School. In 1940, he graduated from the University of New Hampshire. During World War II, he served six years in the US Army and became an officer, his family said. 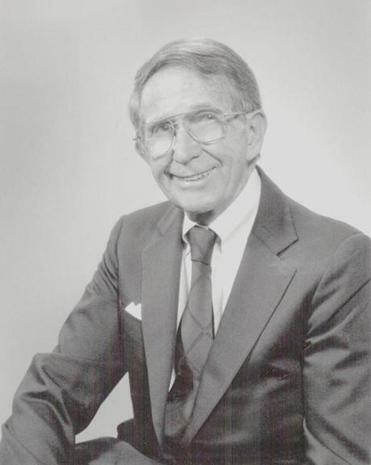 He graduated in 1954 from Boston University with a master’s in business administration and worked in his family’s business, which began in 1903. A service has been held for Mr. Shmishkiss, who in addition to his granddaughter ­Laura leaves a son, Richard of Canton; a daughter, Joan ­Lawrence of Methuen; two other grandchildren; and his former wife, Pearl (Bernfeld) Shmishkiss of Danvers, to whom he was married for more than 40 years. “He devoted his whole life to the Cancer Society,” said ­Richard, who called his father “a quiet person” who could play accordion and loved to cook gourmet feasts for his family. Mr. Shmishkiss was a member of what is now Congregation Shirat Hayam in Swampscott. He served as a trustee of the Lynn Institution for Savings, which became Eastern Bank, and of Massachusetts General Hospital and Boston Children’s Hospital, according to his family. He could spend hours planting flowers in his garden, and delighted his grandchildren by making blueberry pancakes and French toast with orange ­liqueur and cream. “He taught me probably the most important skill in life: how to crack open and devour a lobster,” Laura said. “Even at age 93, from a wheelchair . . . he still made people laugh, still expressed deep interest and excitement for their lives,” she said.